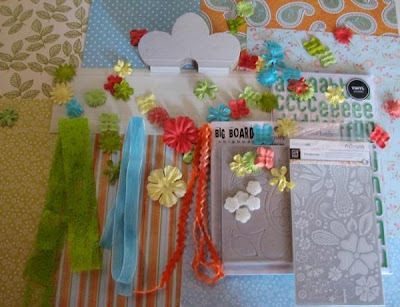 Scrappin' Moms: A Million Memories at Scrapfest 5! A Million Memories at Scrapfest 5! A Million Memories is donating this kit for the raffle at Scrapfest 5. Plus, they will be extending a special 10% discount from their online store, exclusive to Scrapfest 5 attendees from May 26-31, 2008. But, you have to be at Scrapfest 5 to get the code! The code does not apply to the kits, just merchandise from the store. To save on shipping, 5 or more people can place a bulk order together or put up to 3 kits in one box. Just another reason for you to go to Scrapfest 5 -- only 15 slots left as of last Saturday!